This novella is a companion book to Eclipse by the same author. Even though I knew ahead of time that this book is told from a blood-thirsty vampire’s point of view, I couldn’t stay away from it. As a gift, Stephenie has posted the story as an ebook for a limited time(see below for more info). As always, Stephenie has given birth to a cast of characters who are real. The vampires jump off the page and into my mind, tempting me away from the mounds of laundry looming in my mud room. Bree’s past is intriguing, and because I already know her fate from the beginning, I am anxious to know what is going on in her head. Her perspective on the vampires, and the Cullen clan in particular sheds light on Victoria’s side of the story. Diego is likeable and it made me happy that Bree had a friend. Fred is a fantastic character: mysterious, intelligent, silent and deceptively good-looking. Toward the end of the book there is a hint that we might see him again in the Cullen’s future and I very much hope so. I enjoyed the action and suspense-filled ride that propelled me through this short, chapter-less book. Just about every scene transported me to a different setting; from an underground cavern to the top of a tree. Bree’s story is one of regrets and what might have been. We all look back with longing to the events in our lives that we would change if we could. As Bree mounts each step toward her inevitable destruction, I cringe when each possibility for escape passes her by. If only… I think to myself, wondering what crossroads in my own life could be different. Because this story is told through the eyes of a thirsting newborn vampire, the violence and gore is more copious than in Stephenie’s other Twilight books. Or perhaps there’s the same amount of violence, just condensed into a smaller story. What I love most about the Twilight series is the author’s ability to make us feel emotion, and though she succeeded in showing us Bree’s emotions, I prefer to experience the angst and romance, rather than the thirst and bloodshed. This book felt like a character exercise that ran away. In fact, Stephenie admits that Bree’s story came from her side notes. I am fine if she wants to develop some of the side stories that go along with the Twilight universe, but I can’t say that I enjoyed the story as much. For one thing, I already knew Bree’s fate before I started reading, and for another, the novella was too short for me to get really attached to Bree. 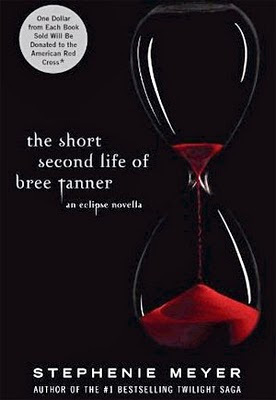 Fans of Twilight will scour this mini-novel for clues into the vampire world.